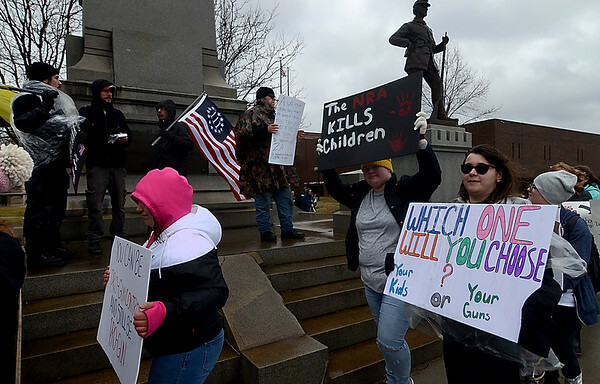 Different viewpoints: Two participants in the March for Our Lives walk with signs that read "The NRA Kills Children" and "Which One Will You Choose?" respectively on Saturday near the Vigo County Courthouse. The two were walking past members of a group who referred to themselves as "constitutional patriots" who were present to suupport the 2nd Amendment.